I've owned this car over 32 years. I restored it the help of friends and family. The original block is in the car, all numbers matching. 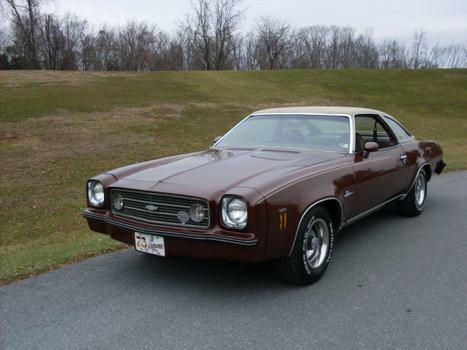 It's the original color chocolate brown metallic. I've added 15 inch Ralley Wheels. I love the uniqueness of this vehicle. Many people at car shows have never seen this model which was available for 3 years, 73-76. 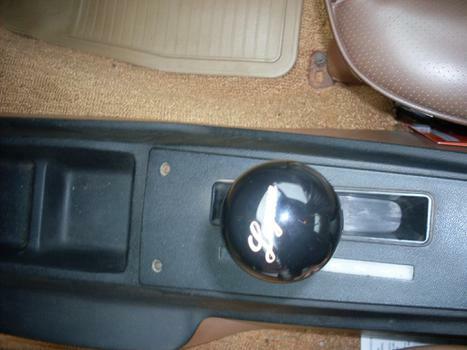 I had a custom gear shift knob made for the car but still retain the original. The car has the swivel bucket seats. Dual exhaust and rear sway bar. Restoring this car has been one of the greatest joys in my life. I'm glad to be a part of this forum. Thanks Bud I just got the chance to check the site had a rough week dealing with issues with one of my leg braces . Welcome, Keith, sweet ride! Is this the Hemmings article? www.hemmings.com/hcc/stories/2013/11/01/hmn_feature3.html Looks like we have a celebrity in our midst! This past weekend the car and I went to The Vintage Classic Chevy Assoc Meet held in Gettysburg Pa. She had to score 901 or better out of a thousand points to earn a 1st Junior award and i was lucky enough to do so. In approx. 3 weeks i will get the actual scores to see what areas need improvement and consider if it is worth going to the next level..